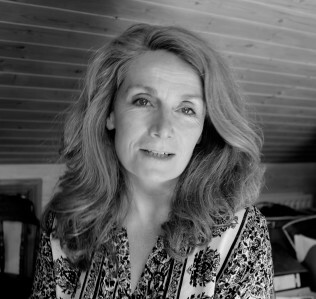 Artist and former nurse Ailbhe Murphy calls for a pedagogy that equips artists embarking on collaborative practice in healthcare and other contexts to critically assess the political economy of the various institutions they enter into as both an analytical tool for sustaining practice and as a mode of self-care. Before I went to art college I was a nurse and nurses, like artists, are trained to look. We were taught to look closely for the subtle signs as well as more obvious signals that tell you about a patient’s condition. It was a training (and here I prefer the French term ‘formation’) that prepared us to look beyond the patient to the broader situation. In the hospital environment, we were taught to quickly appraise a room, the ward, the relation of the bed to the chair, the drip stand in relation to the bed, to check for any obstacles that would hinder a patient’s movement, to anticipate any possible danger. Nursing training also taught you to listen as well as look, to pay close attention to a patient’s demeanour, to their mood and how to respond accordingly. Our training focused on how to maintain a professional relation to someone, how to be both compassionate and useful. These more subjective observational skills, how to remain alert to the subtle signals, were attended to alongside the practical nursing skills: how to give injections, dress wounds, administer medicines, assist in the operating theatre and so on. Nurse training has changed greatly since I was a student nurse. But some of the distinguishing features of a nurse’s formation remain unchanged. Nurses are still taught to approach patient care systemically. They still attend to the situation and they have been trained to know what to do when things go wrong. I realise that embodied disposition towards paying attention to the systemic conditions of the situation has served me well in the field of socially engaged art practice. And it leads me to the question of how artists are trained for operating in the multiple sites opening up to engaged practice: the neighbourhood, the school, the prison and of course, the hospital. We can see that the art academy has responded to the profile and proliferation of engaged arts practice. At undergraduate level in recent years a number of initiatives have been developed to support the art student to test out a collaborative idea as part of their course work. There are also increased opportunities to access more in-depth and specialised programmes in the field of socially engaged arts practice at postgraduate level. However, a pedagogical gap remains. For emerging artists most collaborative encounters start out with enthusiastic readings of the situation, where the project network is seen as a set of benign inter-institutional co-operations where all parties are quite rightly invested in things going well. As the artist navigates those networks of conversations that make up the site of a collaborative project, they inevitably encounter discursive tensions and gravitational shifts within the organisational matrix of their collaborative (ad)venture. Herein lies the pedagogical gap. In the field of socially engaged arts practice there is an absence of a legitimate set of critical tools to announce (and analyse) the kinds of inter-personal and inter-organisational difficulties which naturally arise during a collaborative arts project. In this critical lacuna problems tend to register and become coded by the artist as their own, or conversely, problems can be coded systemically as ‘the problem with the artist’. The phenomenology of socially engaged art practice is therefore all too often confined to the domain of private experience. In order to preempt that experiential isolation, we need to encourage the emerging artist towards a more knowing deconstruction, to influence a critical reading of the interpersonal and inter-organisational alignments within a collaborative project as intersecting fields of power. Student nurses learn to appraise the totality of the patient’s situation. They also learn about the various and complex dynamics of the institution as they encounter it during their training and subsequently as they navigate and inhabit it in their professional practice. So too must emerging socially engaged artists be equipped to critically appraise the totality of the collaborative situation. And they need to be prepared for when things go wrong. And here is where the care of the artist meets the need for a pedagogy that helps them to critically position themselves within the field of practice. If I say position in a healthy way I am not attempting here a form of pedagogical hygienics, where the instructive move is to ameliorate difference and thereby neutralise productive tensions. Rather it is to state that at the very least, there ought to be some navigational tools that allow the artist to locate themselves somewhere between their agency and the systemic constraints of the system. Let’s consider the situation in relation to contemporary healthcare provision in Ireland. The recent medical card crises for example and other highly contested developments such as the further proposed HSE cuts to frontline nursing staff and the implications of both on patient care and on healthcare professionals brings to the fore the realpolitik of contemporary healthcare management in Ireland. And what is revealed at the level of response is an organisational, state and inter-institutional matrix actively engaged in negotiations around these management issues. If the healthcare sector were a body then this organisational and institutional framework is the skeleton and forms part of what we in Vagabond Reviews would term the micro-political economy of healthcare. Creative practice requires a fairly singular focus. But in the same way that nurses approach patient care systemically, socially engaged artists also need to remain alert to the systemic features of healthcare and to its micro-political economy as a prerequisite for negotiating their way through it. In my view, to take care of the artist working in healthcare contexts is more a question of a form of political, strategic and tactical education than it is a therapeutic sop after battle. To initiate and sustain collaborative practice requires a political education as a mode of self-care which is not just relevant to art in the context of healthcare systems. It prepares the artist for any other collaborative context where they are working across disciplines in unfamiliar situations and encountering new forms of expertise. 1Perhaps it is precisely the inculcation of that way of seeing, the attention to detail in order to maximise a patient’s comfort, which makes the contemporary situation of overcrowding in our Accident & Emergency units in particular such an offence to the vocation of nursing. See http://www.inmo.ie/6022 for the Irish Nurses and Midwives Organisation’s Trolley Watch which documents numbers of patients on trollies in Emergency Departments & Ward Watch which documents the numbers of patients on trollies, armchairs and beds over the stated capacity of that inpatient ward. Ailbhe, I thoroughly enjoyed reading your article, and it was most insightful.Over the years I have collaborated in community arts programmes in New Ross, and this was most inspiring for me. Both of my parents have spent long periods in hospitals and I would bring in paintings for them, and other patients to lift their spirits and surroundings. It was always a positive action. Best Wishes, Maeve O’Byrne. in the same way that nurses approach patient care systemically, socially engaged artists also need to remain alert to the systemic features of healthcare and to its micro-political economy as a prerequisite for negotiating their way through it.